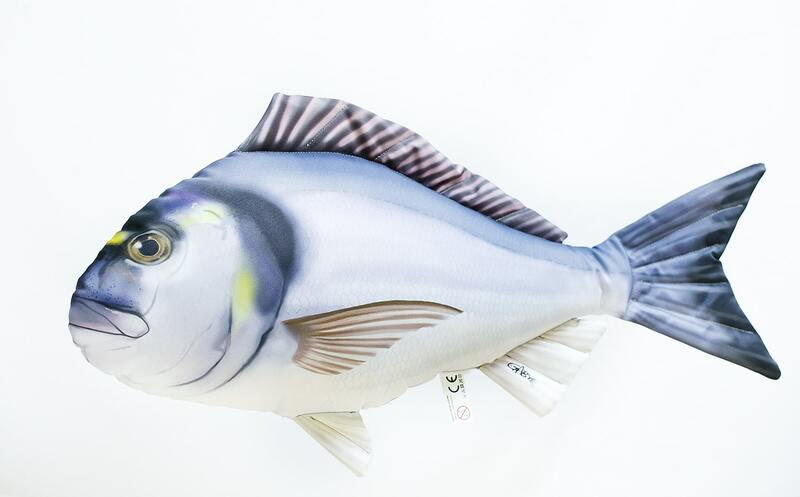 Our offering of saltwater species gives a unique look into the common and not so common inhabitants of the world’s seas and oceans. Fish rule these waters to be sure…but they are not the only inhabitants and share their surroundings with crustaceans, molluscs and many others. 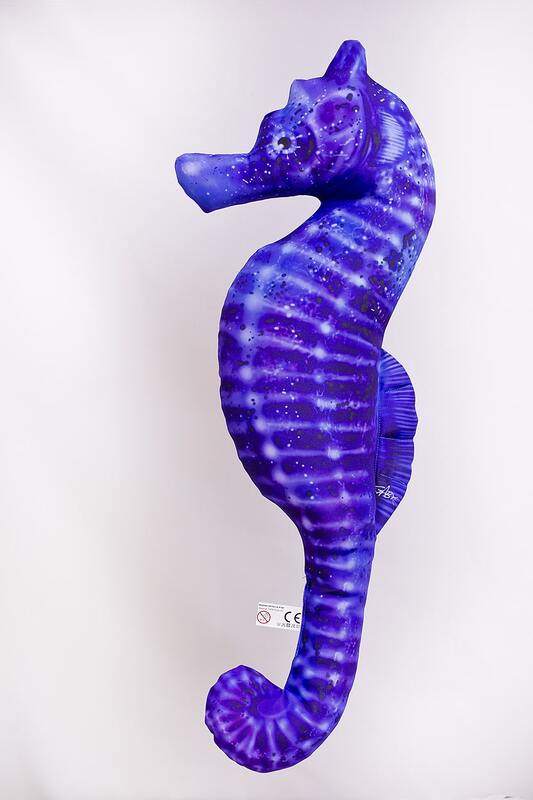 Discover the beauty of the high seas with GABY’s Saltwater Collection! Flounder are a group of flatfish species (Pleuronectidae). 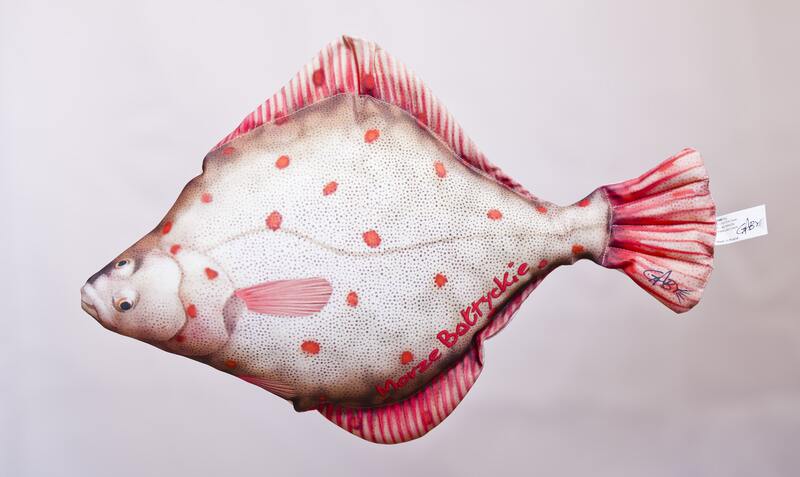 Representatives of this family of fish in the Baltic Sea include, among others, the Plaice, Flounder and Dab. 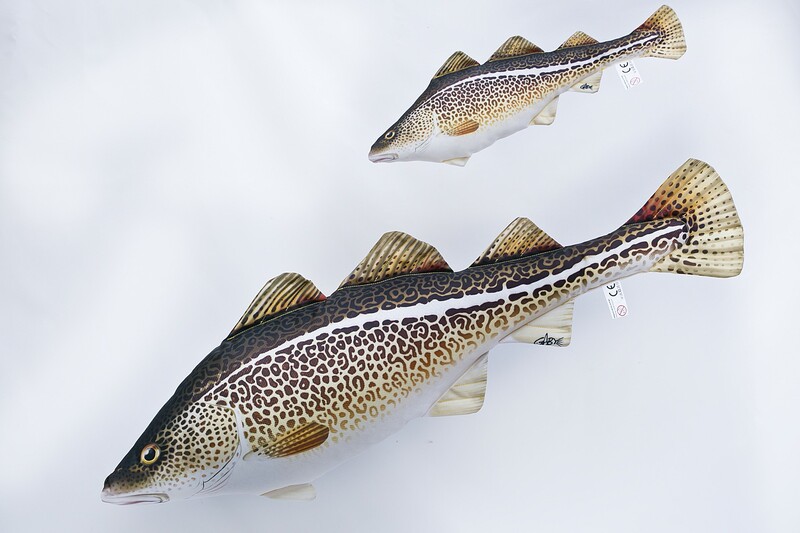 They are a demersal fish, giving them their characteristic flat body shape and one-sided appearance. This fish can mask itself on the sea floor perfectly – thanks to the ability to change coloration and dig itself into the sand. Flounder are nocturnal predators, feeding mainly on small sea organisms during the night while resting buried in the sand during the day. The Flounder is invariably associated with the waters of the Baltic Sea, where they constitute a very important part of fisheries management and are part of the region’s culture and history. 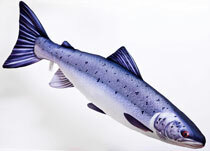 The Atlantic Salmon is the most noble representative of the salmonids (Salmonidae). The geographical distribution of the species, within Europe, includes most coastal waters of the White Sea through to the North Sea as well as the Baltic and extends south to northern Portugal. It spends most of its life in the sea, with the exception of spawning when it returns and “runs” in fresh water. 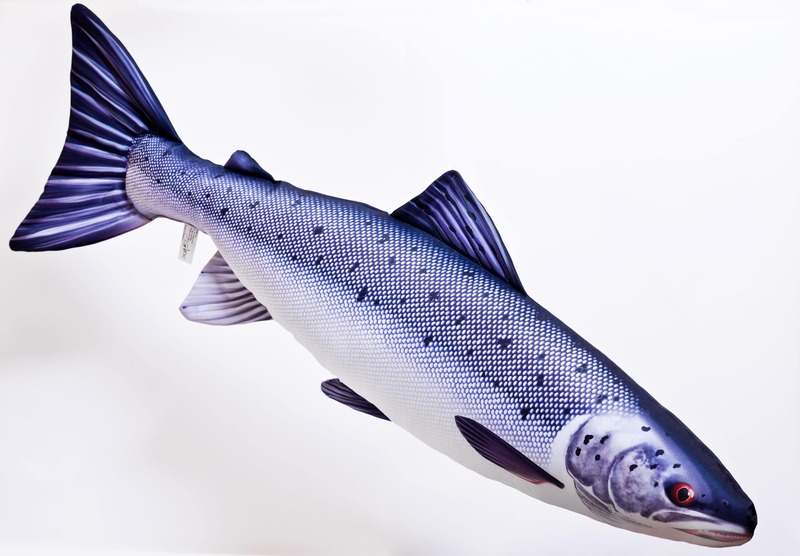 During spawning, migratory salmon instinctively come back to the streams where they hatched. 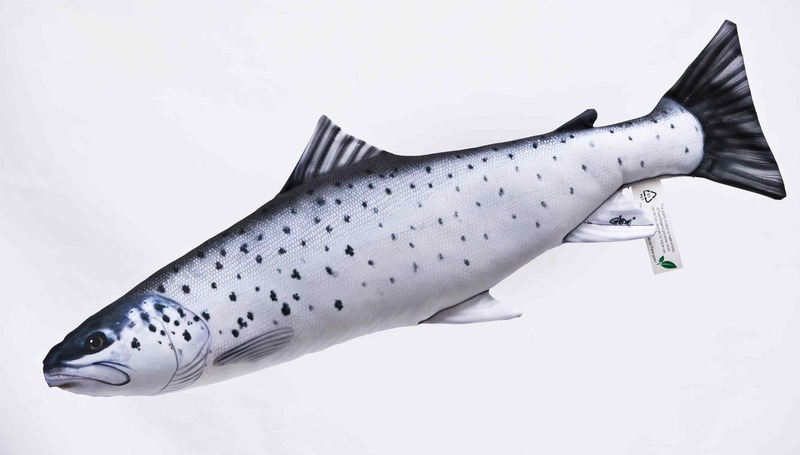 Some Atlantic Salmon die after spawning, exhausted by their journey and lack of caloric intake. The Salmon is a true predator. Young fish feed on insects and invertebrates, while adults feed nearly exclusively on fish. 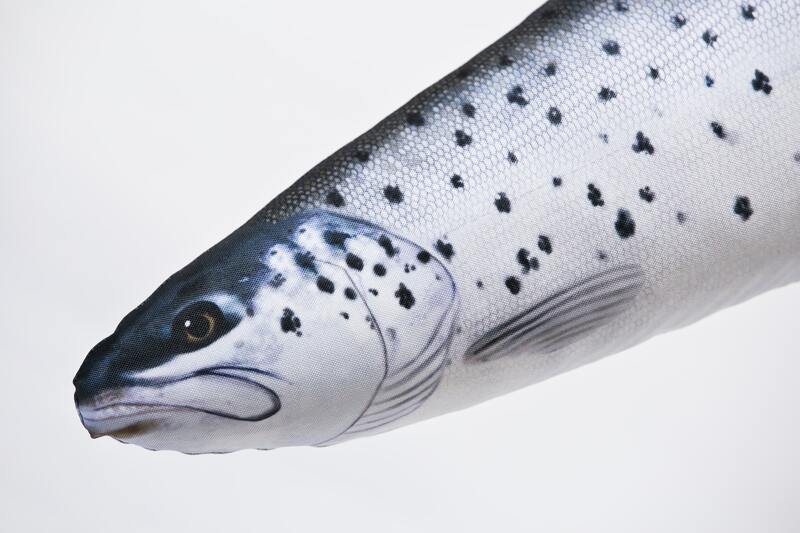 Populations of wild salmon in Europe are decreasing rapidly. The biggest threat being destruction and pollution of habitat and barricading natural ascension route in rivers and streams. The bluefin tuna is a large migratory fish of the mackerel family (Scombridae). It is native to the waters of the western and eastern Atlantic Ocean, as well as the Mediterranean Sea. 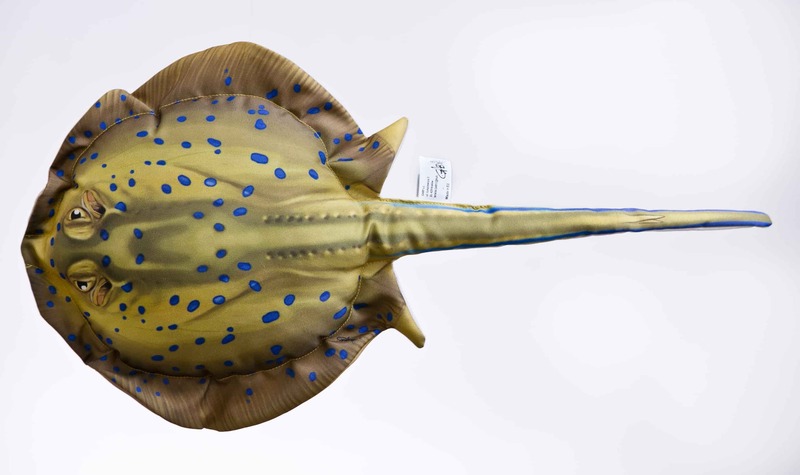 Record specimens can exceed 900kg in weight and reach some 4 meters in length. 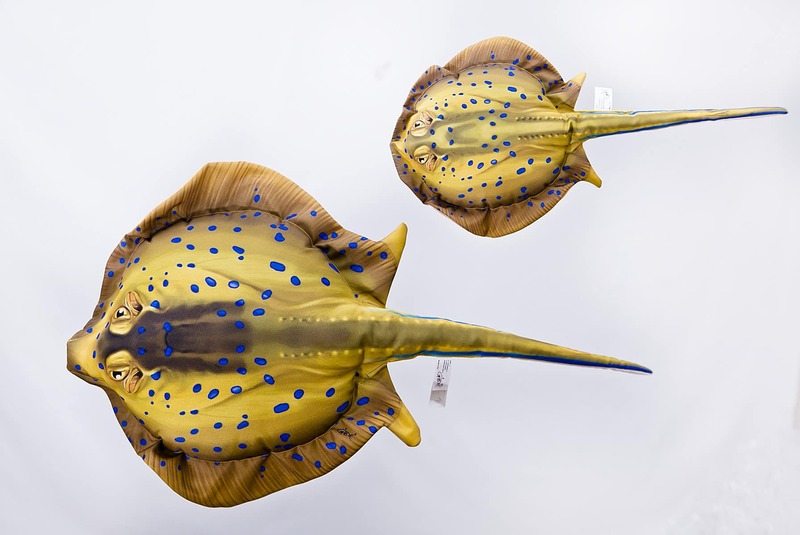 It is characterized by its fusiform and ideally aerodynamic shape, as well as having the most advanced thermoregulation system of all bony fish. 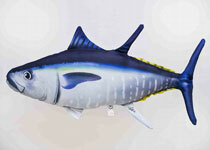 As all tuna, the bluefin is an excellent hunter, feeding mainly on small fish and squid. 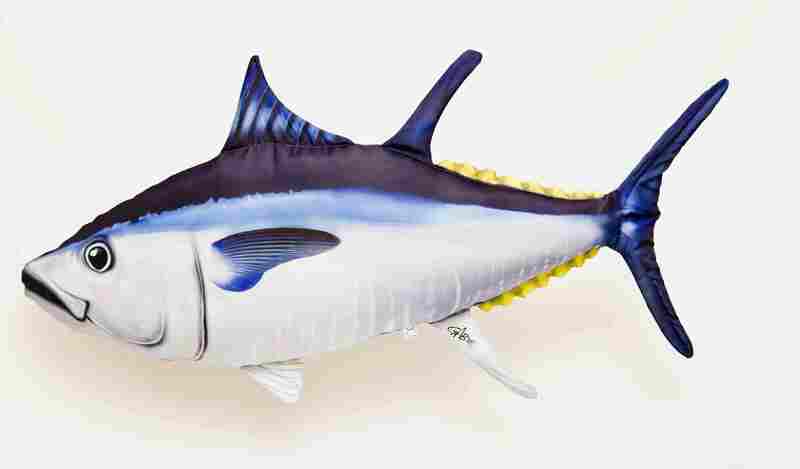 Globally, the bluefin is at risk of extinction and is currently one of the most threatened fish species. 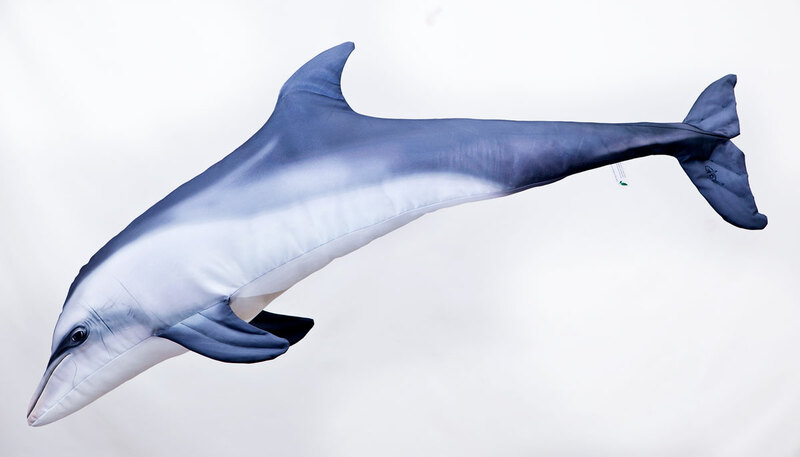 A prominent and majestic member of the pelagic environment. With females growing to more than 2000 pounds (males are much smaller, seldom exceeding 300-400 lbs), the Blue Marlin is one of the largest bony fish and perhaps the most recognizable of the billfish. Endemic to the Atlantic Ocean, the blue marlin is also present in the tropical and subtropical waters of the Pacific and Indian Ocean. 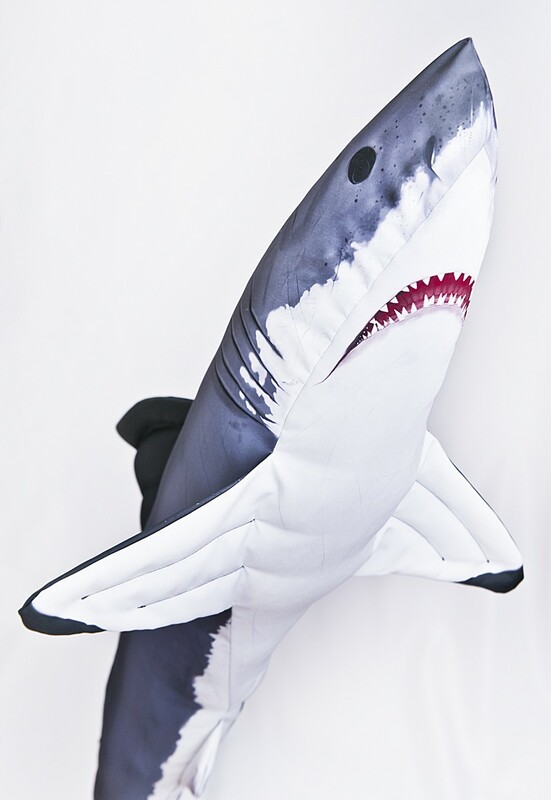 They use their bill to stun prey, feeding primarily on fish as tuna, bonitos, flying fish, ballyhoo and squid. They are a powerful fish and greatly sought after bysportfishermen. 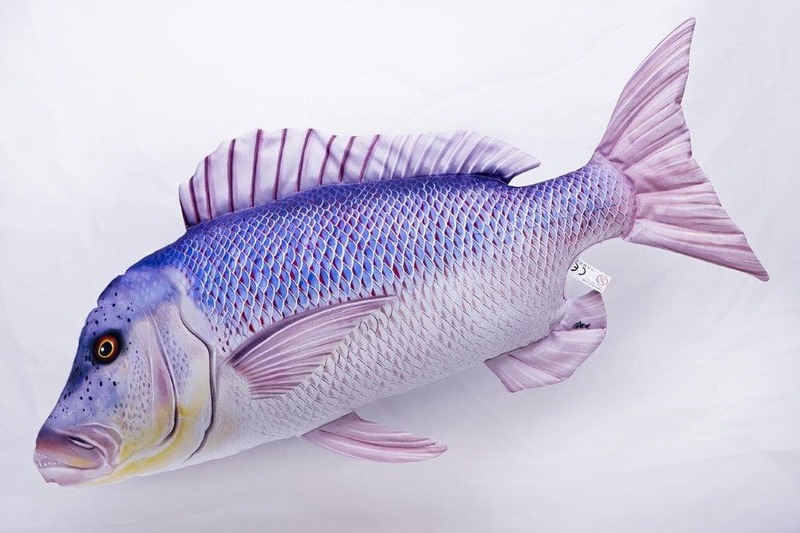 The Gilthead bream (Sparus aurata) is a popular coastal fish found abundantly along the shores of the Mediterranean Sea and East Atlantic Ocean. 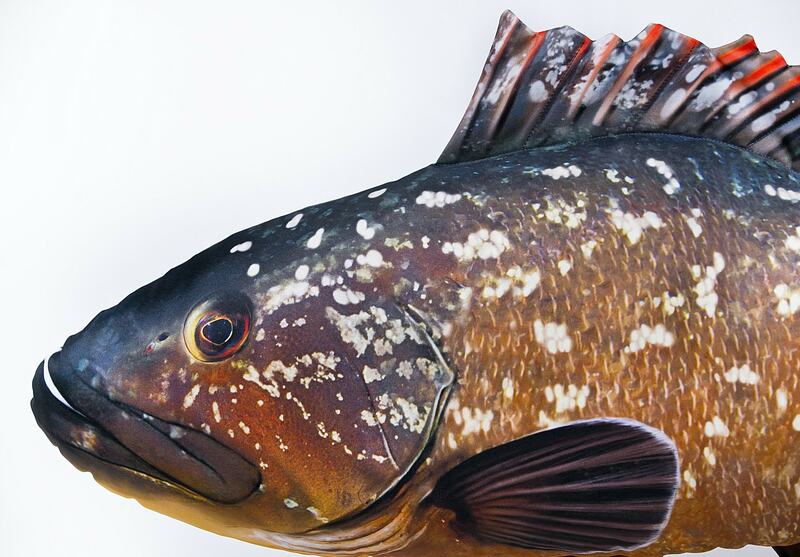 One of the most popular and recognizable breams, the gilthead is characterized by a "golden" marking in the region between its eyes and gill area. It feeds on mostly on shellfish but also on small crustaceans and small fish. 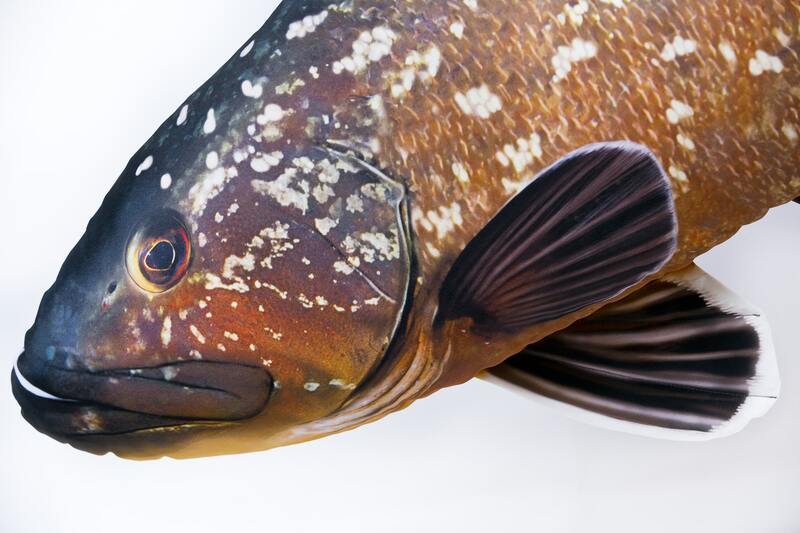 It is a very popular fish in the aquaculture business and amongst sea anglers, much prized for its strength and taste. Part of the sparidae family , the common dentex ( dentex dentex) is a large predatory fish. Its natural distribution range includes portions of the Easter Atlantic and all of the Mediterranean. 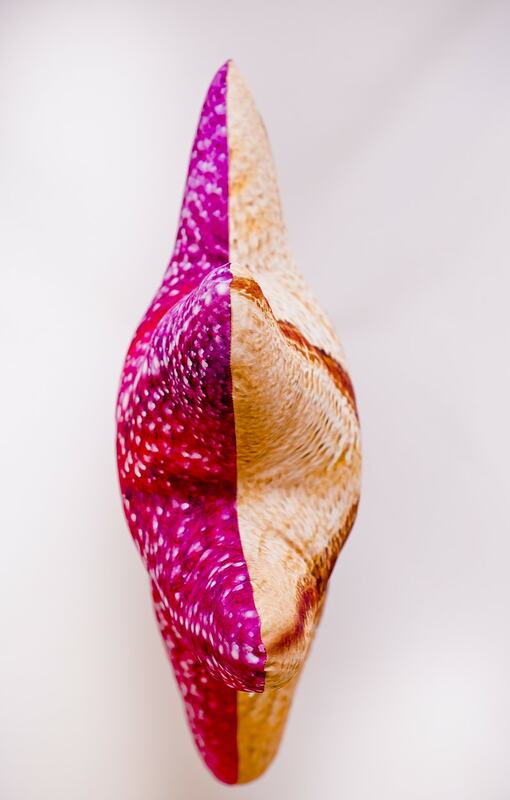 Found in relatively shallow coastal waters, the species prefers rocky and sandy bottoms. It feeds primarily on fish, mollusks and cephalopods. 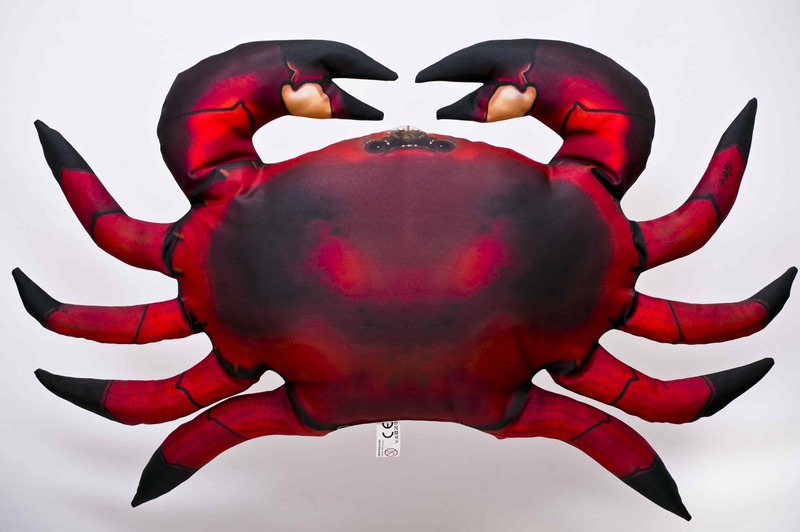 The common dentex can grow to around 1m in lenght and weigh some 15 kg. It is prized for culinary attributes and is a favorite among European sea fishermen. 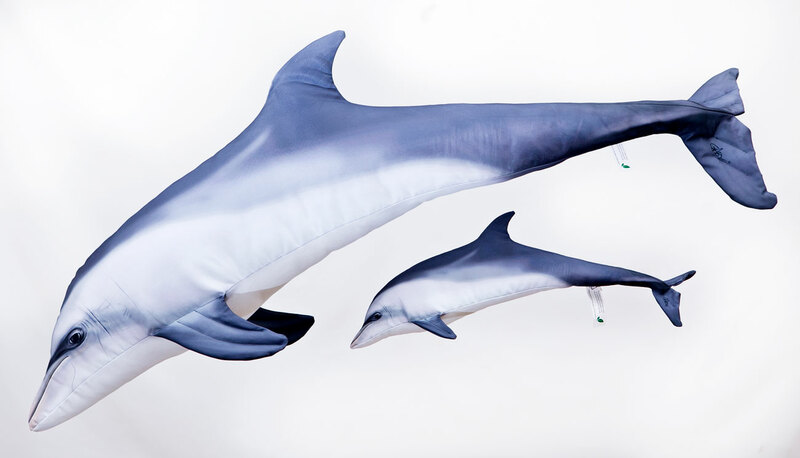 Bottlenose Dolphin perhaps the most recognizable of all the whales and dolphins, the Bottlenose Dolphin (Tursiops) is the most widespread of all the 44 dolphin species. 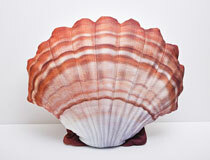 It is found in nearly all tropical and moderate waters around the globe. It feeds on fish, crustaceans and molluscs. The species has a characteristic smiling mouth and bottle shaped rostrum. Bottlenose Dolphins are very intelligent animals and can communicate through various sounds (verbal language) and body language. 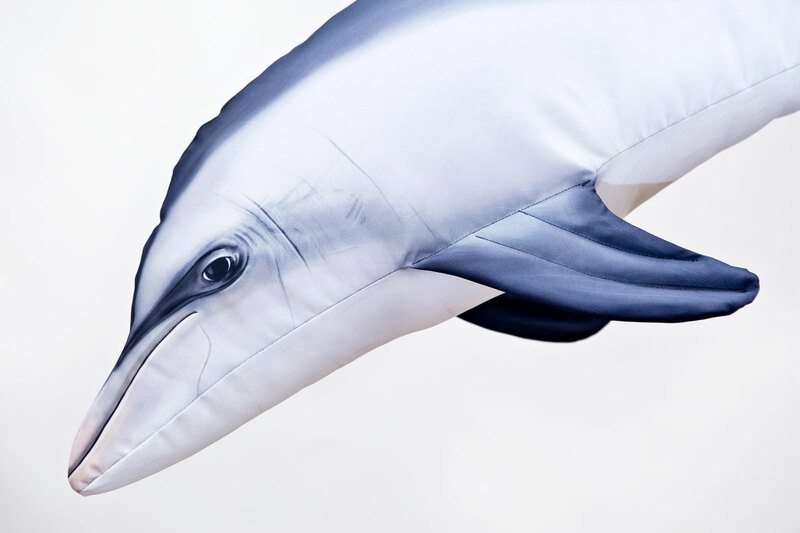 It is a friendly and inquisitive species and often spends time with other dolphin species, whales and even sharks. The European Sea Bass (Dicentrarchus Labrax) is a predatory saltwater fish from the Perciformes order. 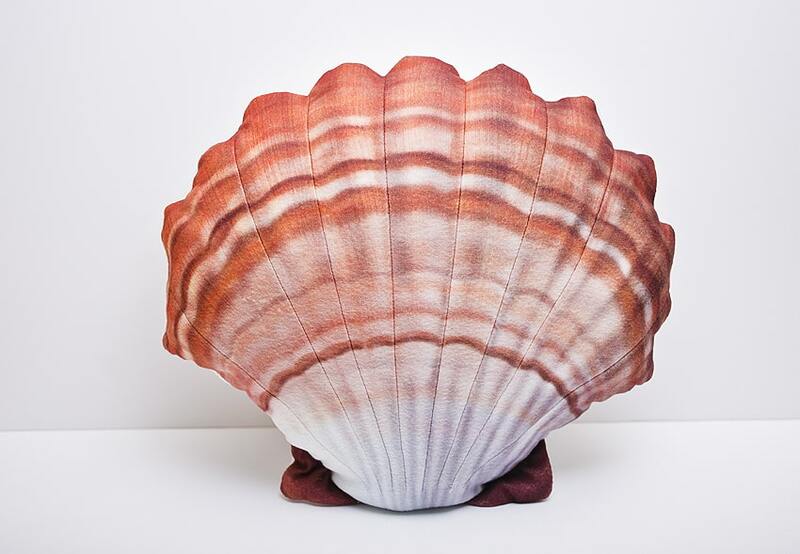 It is present in most coastal waters of the North Atlantic , the Mediterranean, the North Sea as well as the Black Sea. They are found sporadically in brackish waters of river estuaries. 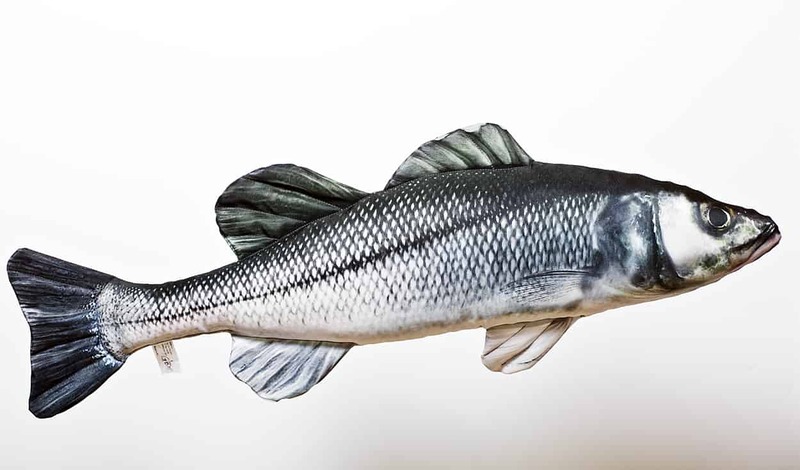 Sea Bass often form shoals when hunting and adult specimens feed primarily on invertebrates and small fish as sardines and herring. 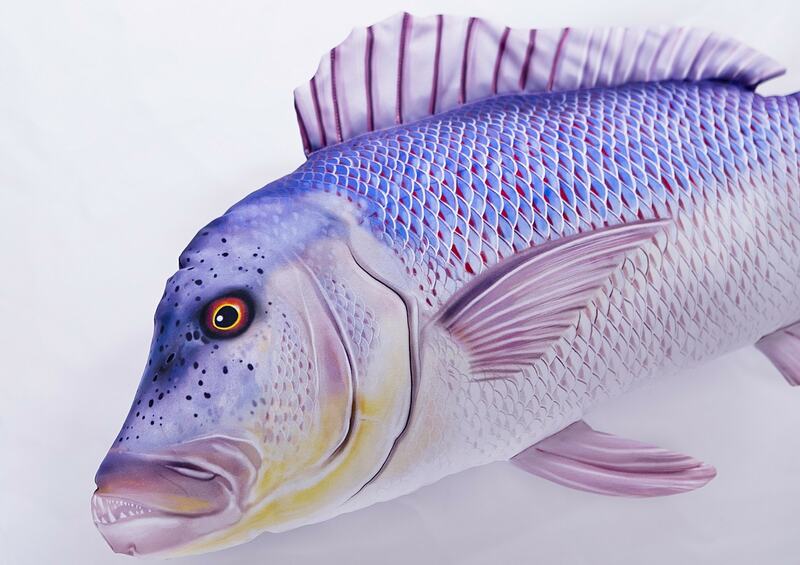 The species is highly prized by saltwater anglers and is a favorite of chefs around the world. 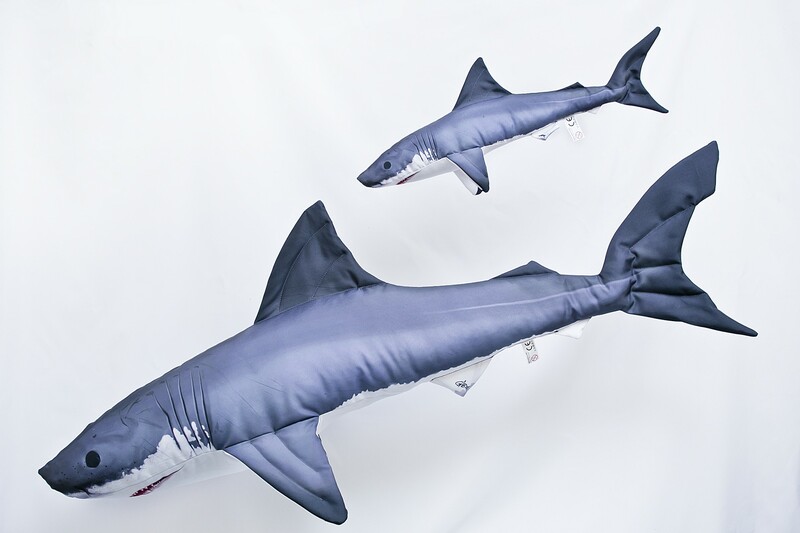 Perhaps the most well-known and recognized species of shark, the Great White, or White Pointer, inhabits the majority of the temperate waters of the world’s oceans and seas. It has a typical predatory body shape, characterized by its aerodynamic and muscular build and a mouth studded by rows of teeth which are constantly replaced. The Great White can grow to some 7 meters in lenght (around 24 feet), and is a viviparous species, giving birth to several live young individuals. It feeds primarily on fish as a juvenile and mainly on small (and not so small) marine mammals as an adult. 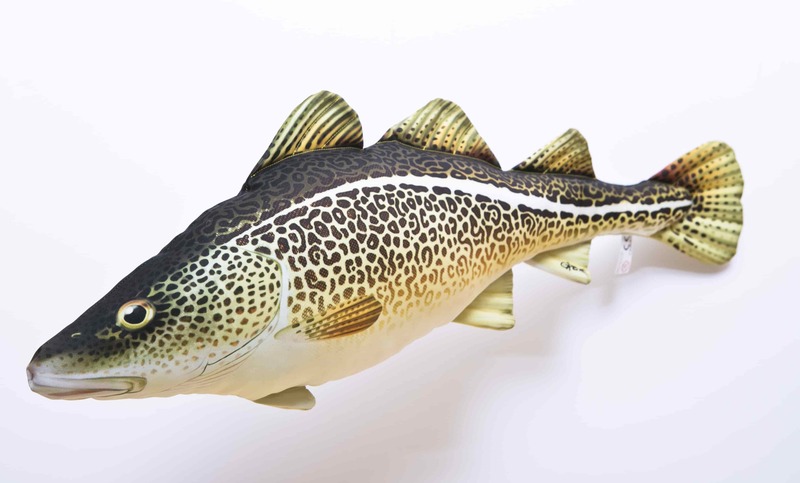 The Atlantic Cod (Gadus Morhua) is a predatory saltwater fish present in the Northern Atlantic Ocean as well as the seas of northern Europe, including the Baltic. It is a schooling fish which lives in deep water. Cod and members of their family feed mainly on small marine organism, especially small fish. 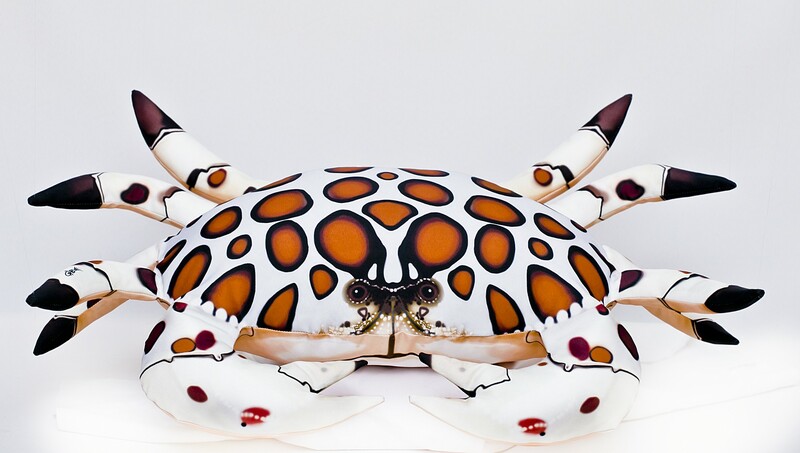 It features a characteristics color pattern along its side. Cod is an important economic part of the fisheries of northern Europe, though continued pressure on its populations has seen stocks dwindle in the past decades. It, nonetheless, remains a highly prized fish by anglers. 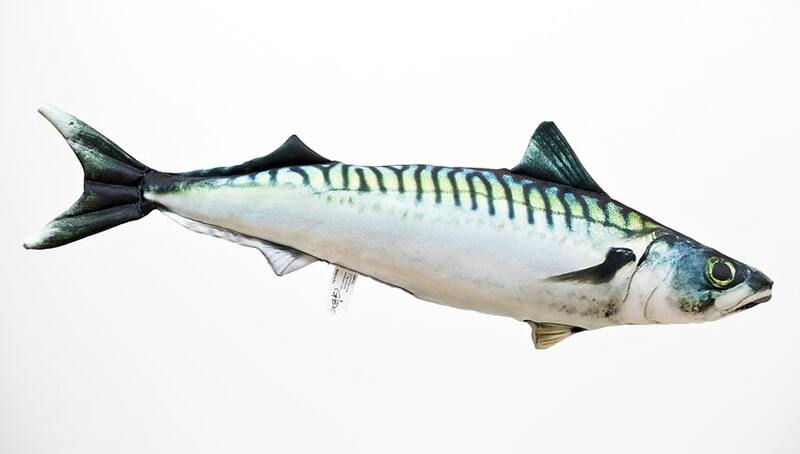 The Atlantic Mackerel (Scomber scombrus) is a pelagic fish of the mackerel family. It inhabits most coastal waters along the northern United States, the European Atlantic coast, the Meditterranean and Black Seas as well as the north-west Baltic. Adult specimens can reach some 50cm in length and weigh up to 1 kg. 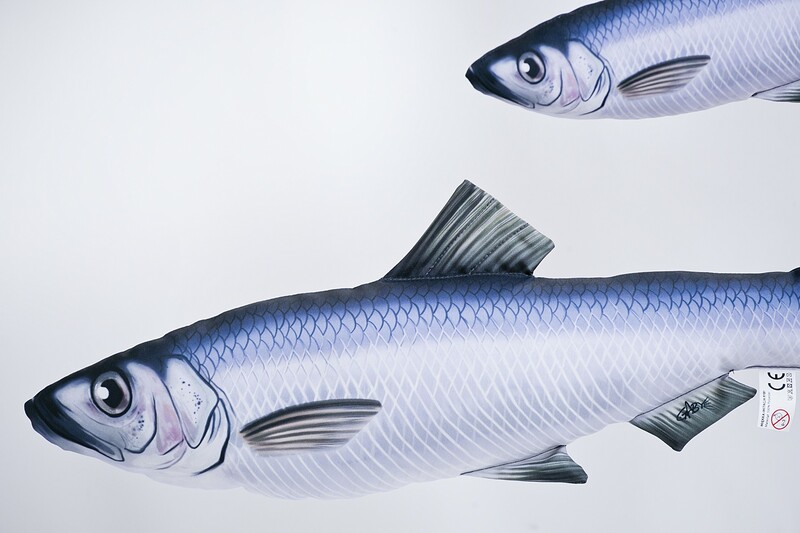 Mackerel are nomadic fish and live in large schools. They feed mainly on small crustaceans, plankton, snails and small fish. 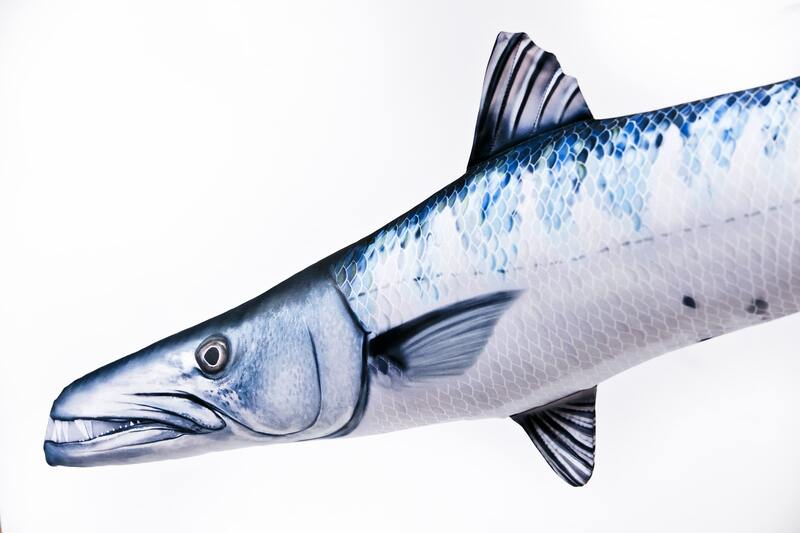 Aside from being a popular gamefish, the Atlantic Mackerel is an important economic driver of many national fishing industries, thanks to its high yield and long history of commercialization. 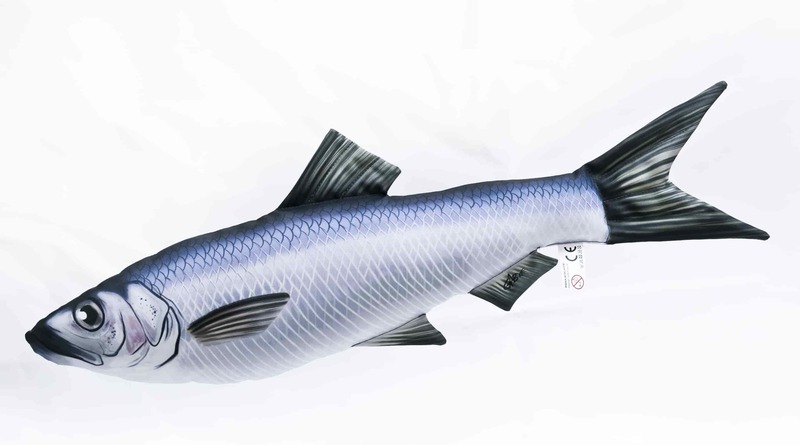 It is prized for its taste and high concentrations of Omega-3 fatty acids and vitamin B12. 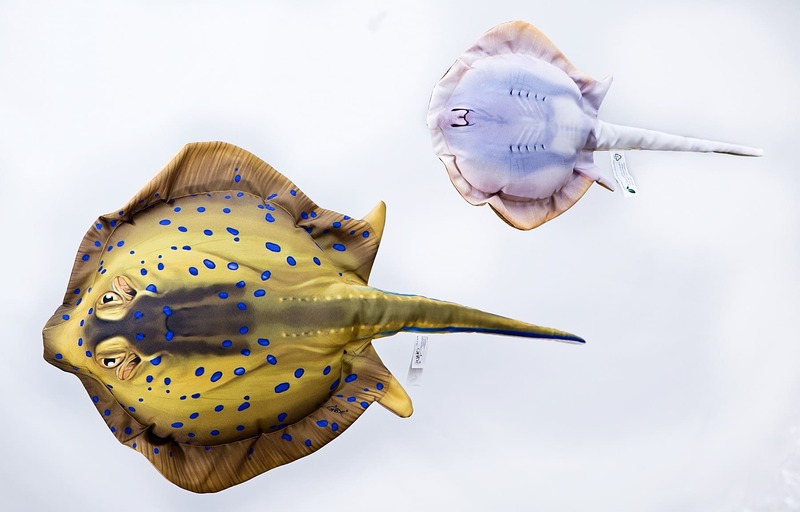 Derived from the Latin for “sardine” and “shape”, the Clupeiformes order of ray-finned fish includes common species from the herring, sardine and anchovy families (and several other families). 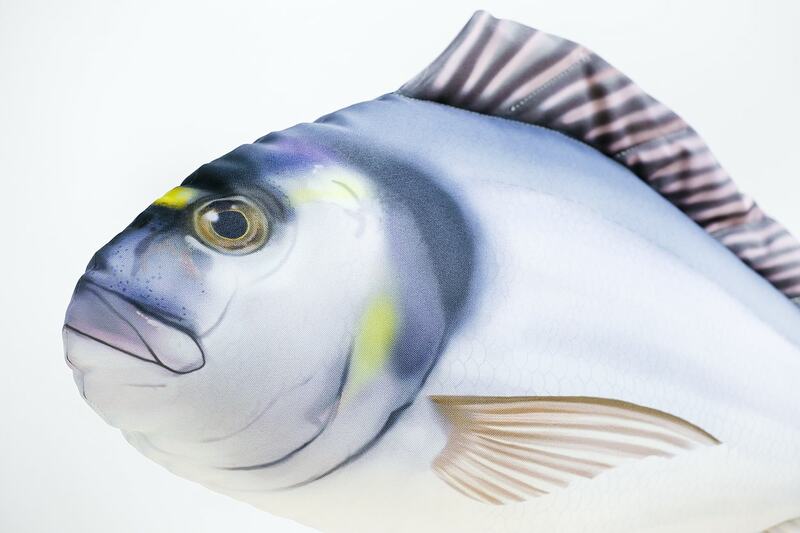 Often living in large schools, the fish of this order are typically brightly silver-sided with a dark back and a streamlined body. 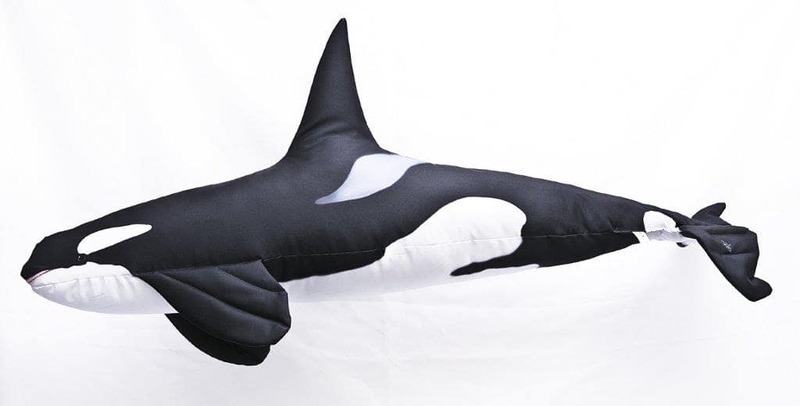 The Killer Whale or Orca (Orcinus orca) is a large representative of the dolphin family. It sports a characteristic color pattern of black and white blotches. 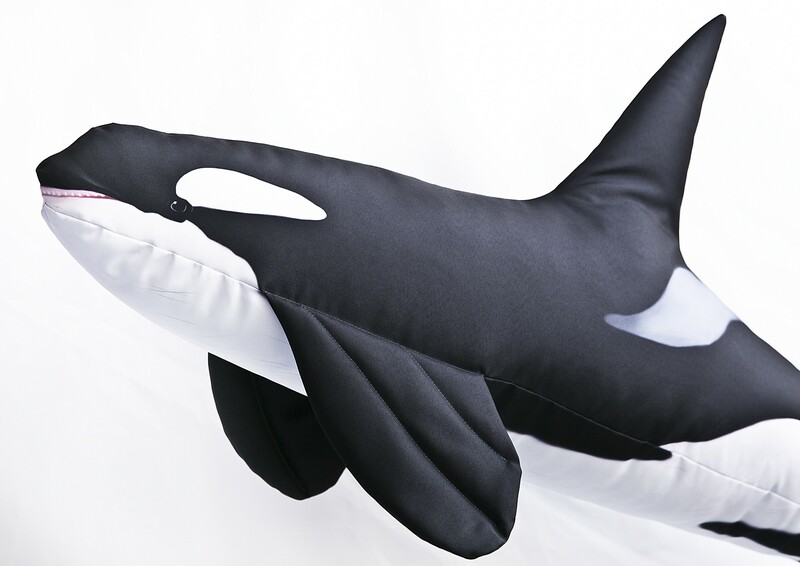 Killer Whales have sturdy and powerful builds and are endemic to all the world’s oceans and some large seas. 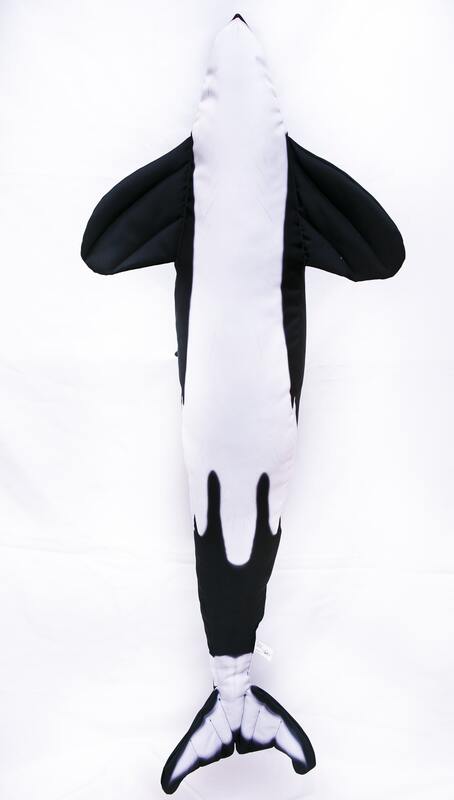 Orcas are a highly intelligent and highly predatory species, often hunting in organized and efficient packs. They feed on large aquatic fish and mammals. While a favorite in aquariums around the world, captive programs are controversial as orcas do poorly in captivity. The Great Barracuda (Sphyraena barracuda) is a large and rather easily identifiable marine predator. It can grow to nearly 2 meters in length and inhabits most of the tropical and subtropical coastal waters of the world’s oceans and seas. They are excellent hunters with an aerodynamic body designed for quick bursts of speed and effective hunting. 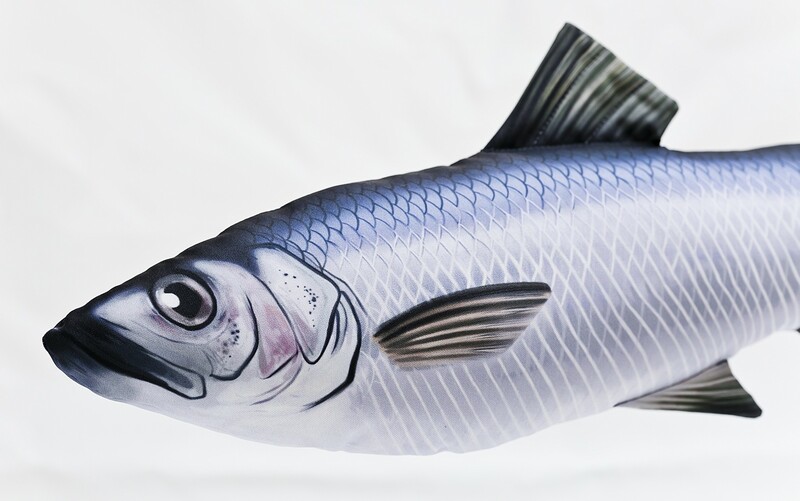 It is a popular species among anglers all over the world though it is not a tasty fish and has little culinary value. 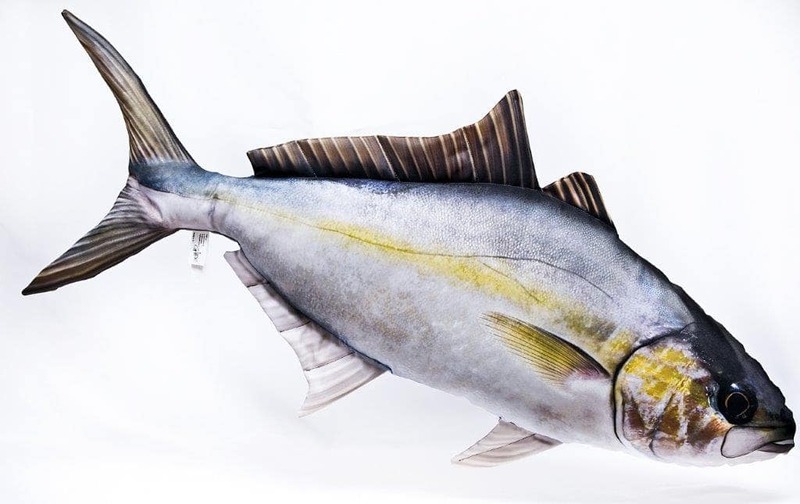 The amberjack (Seriola dumerili) is a large saltwater fish native to nearly all warm waters of both hemispheres. It prefers near-shore drop offs and rocky ledges or reefs where it feeds on fish, crustaceans and molluscs. It can grow to some 2 meters in length and is characterized by an amber colored stripe which runs along the side of its body. 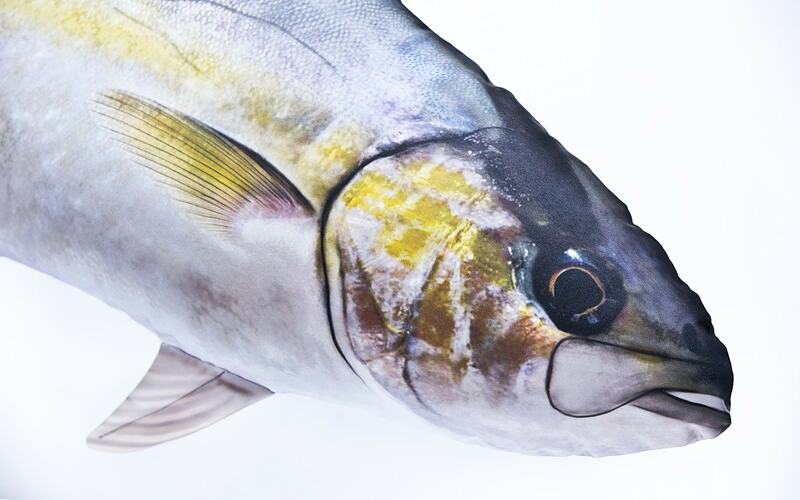 It is a very popular sportfish due to its size and stamina. 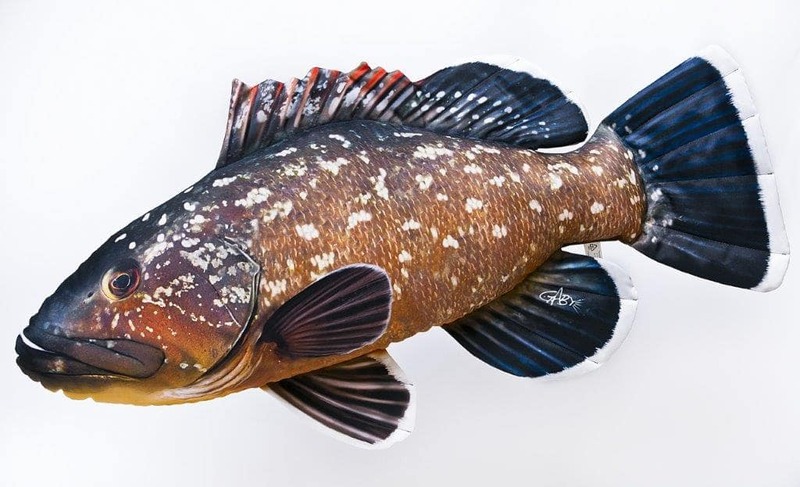 The dusky grouper is a large marine fish present in a shallow european waters from the Bay of Biscay, the Mediterranean Sea and north Africa. It is a solitary fish and an ambush hunter, preferring a habitat full of nooks and crannies to hide in while waiting for prey. It feeds primarily on crustaceans, gastropods and fish. 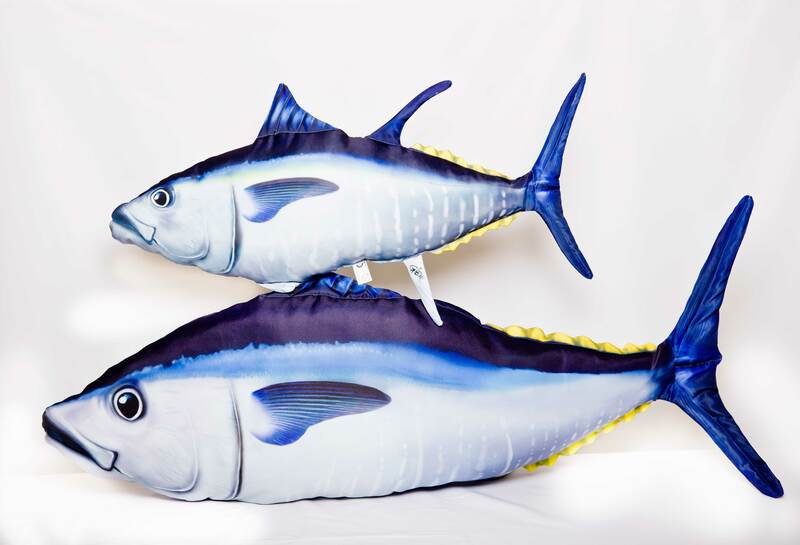 The species is highly valued for its taste and is a popular game fish amongst marine anglers. 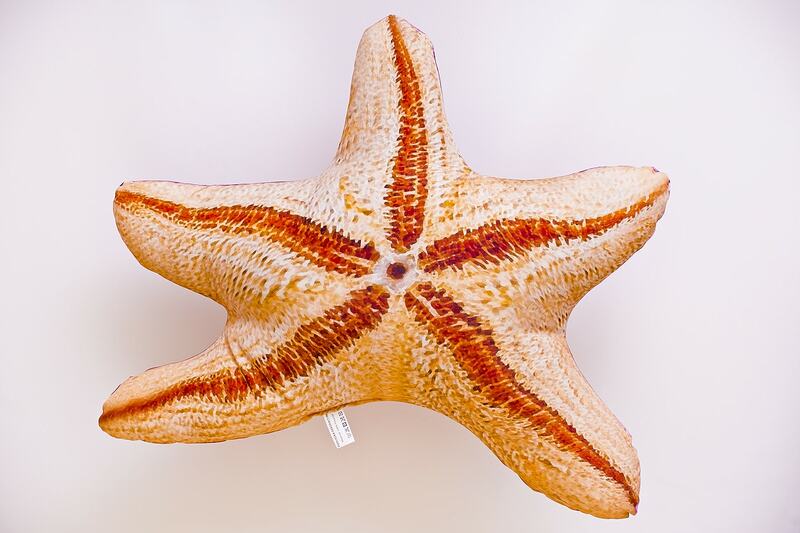 A curious inhabitant of the sea floor, starfish or sea stars are not fish but star shaped echinoderms of the class asteroidea (with sea urchins, sand dollars and basket stars as relatives). 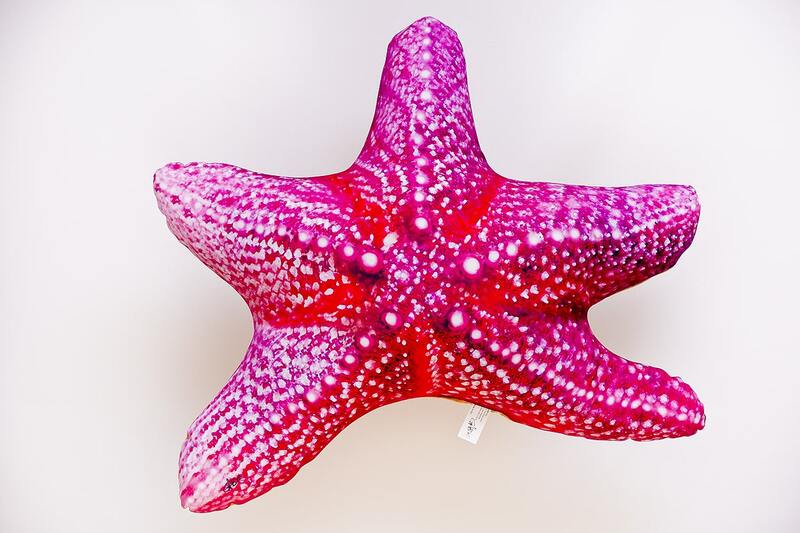 There are some 1500-2000 species of starfish inhabiting all of the worlds' oceans with the greatest diversity occurring in shallow areas and reefs. 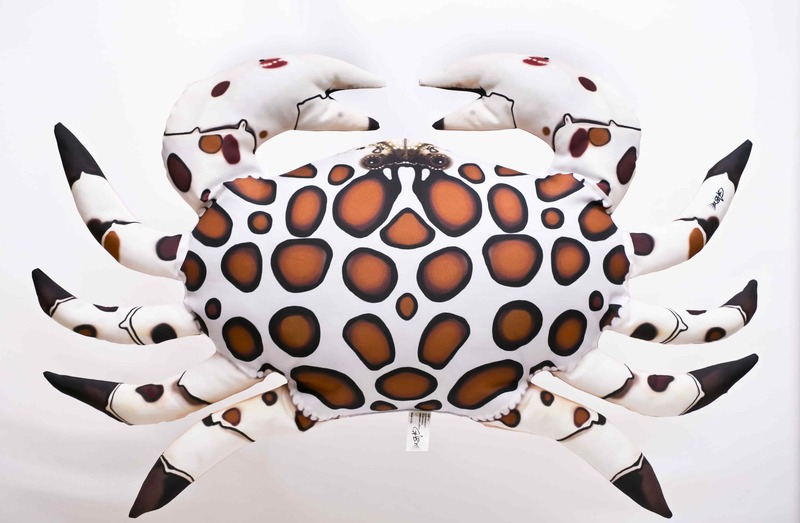 They can exhibit different numbers of arms and display various coloration and body shapes. 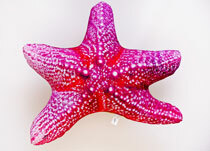 Starfish are slow moving, though some species can move more than 2 meters per minute. They feed primarily on gastropods, arthropods, bivalves and organic matter and corals. 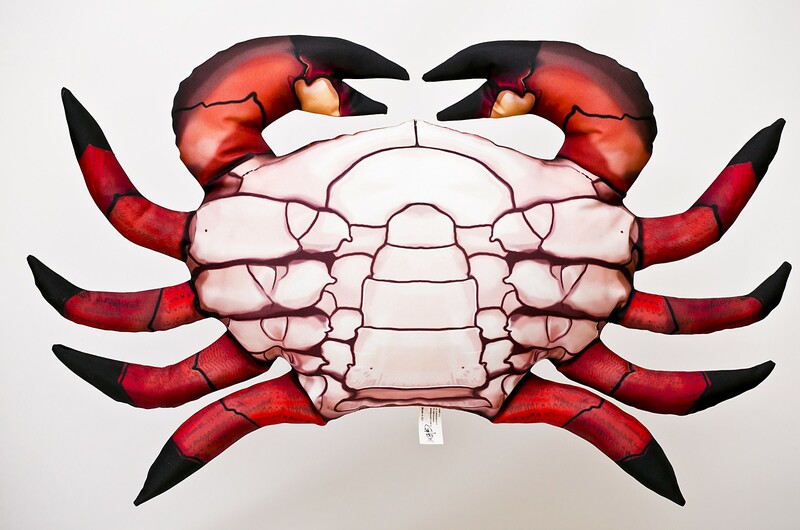 Crabs – A group of crustaceans consisting of nearly 7 thousand species. 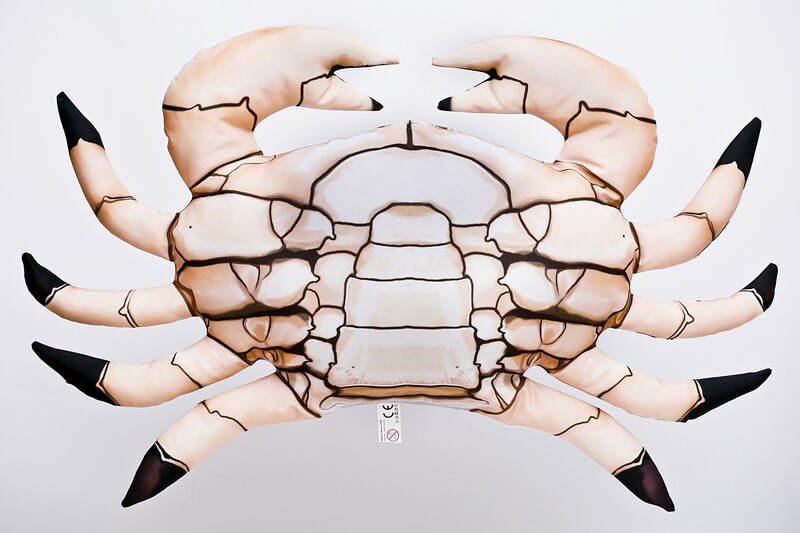 Crabs have a characteristic body shape with a thick exoskeleton. 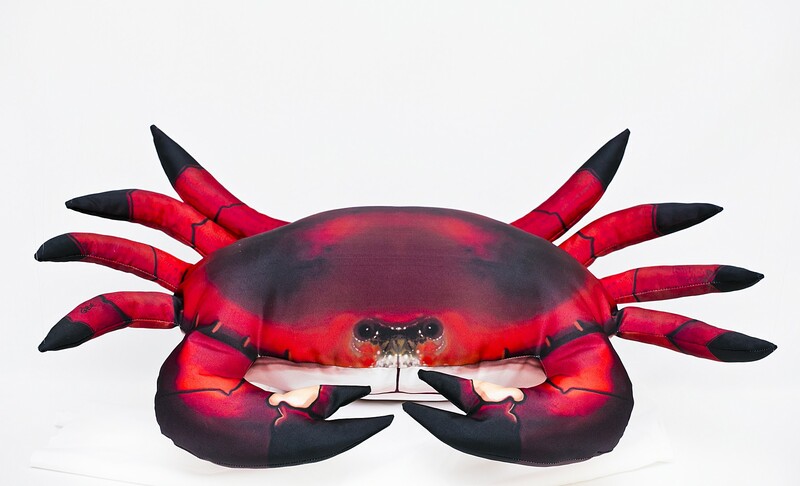 Many crabs, like the ones in our collection, are relatively agile and fast swimmers, able to move in all directions. 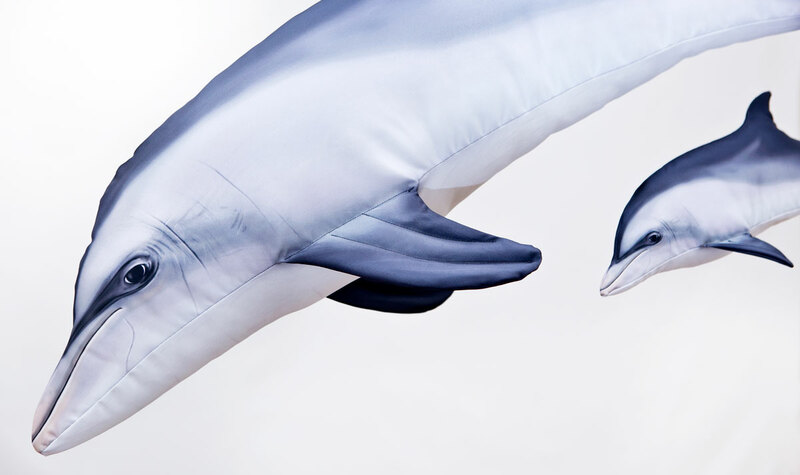 They are found in all of the world’s oceans, in fresh water and even on land. Their diets vary but in general they feed on plant and animal material found on the bottom of bodies of water. 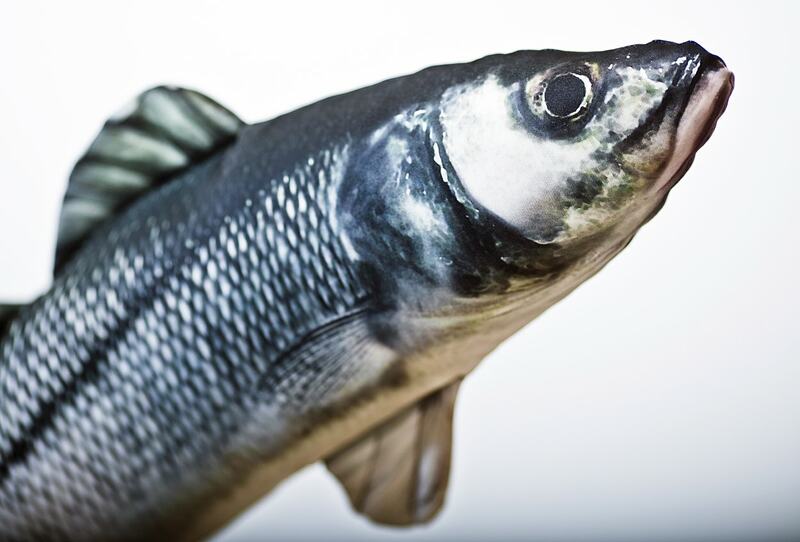 They are an important part of the fishing industries of several countries and are prized for their pleasant taste. 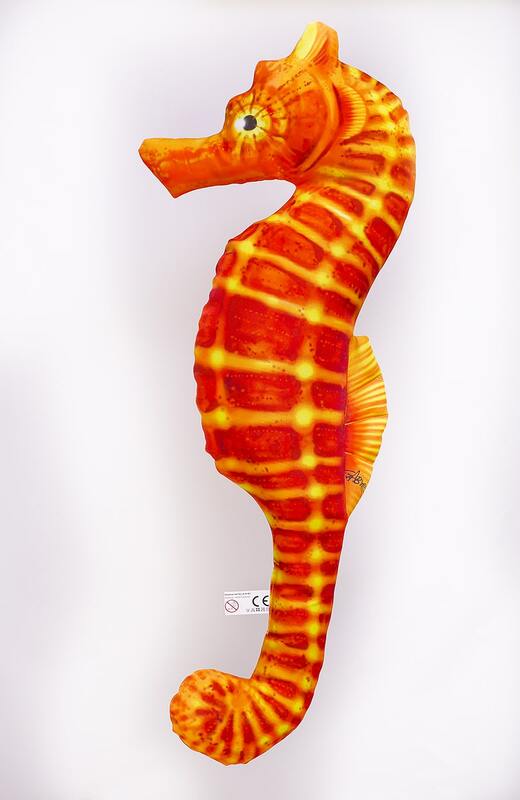 Seahorse (Syngnathidae) A spectacularly peculiar and beautiful family of fishes characterized by their prehensile tails and shape, seahorses inhabit the shallow waters of many parts of the world’s tropical and temperate seas and oceans. They do not have scales as most fish, but skin which covers their body’s bony structure. 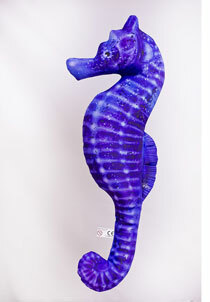 There are several dozen different species of seahorses, well-known for the fact that the males carry the young. 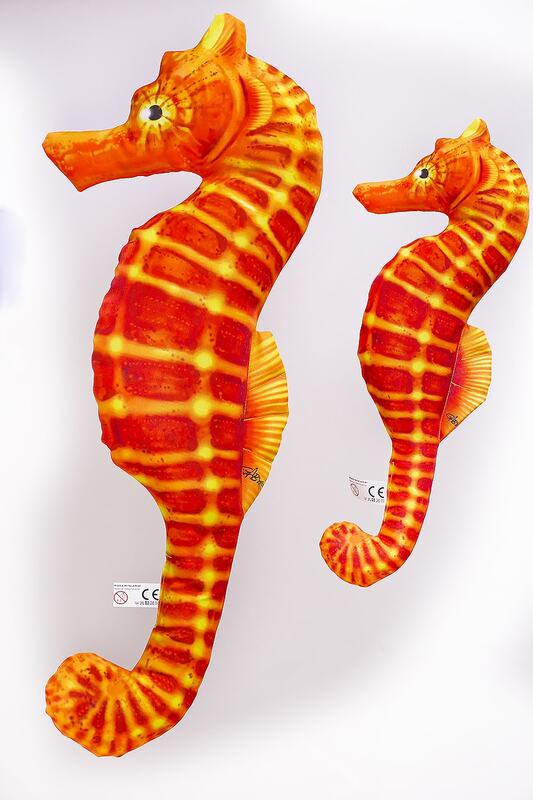 Seahorses feed primarily on very small crustaceans and invertebrates as copepods. Unfortunately, seahorse numbers are in great decline worldwide and some face extinction. 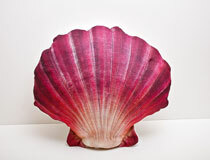 Scallops are a common marine bivalve mollusk of the Pectinidae family. They inhabit all of the world's oceans, with the greatest concentration of species in tropical waters. 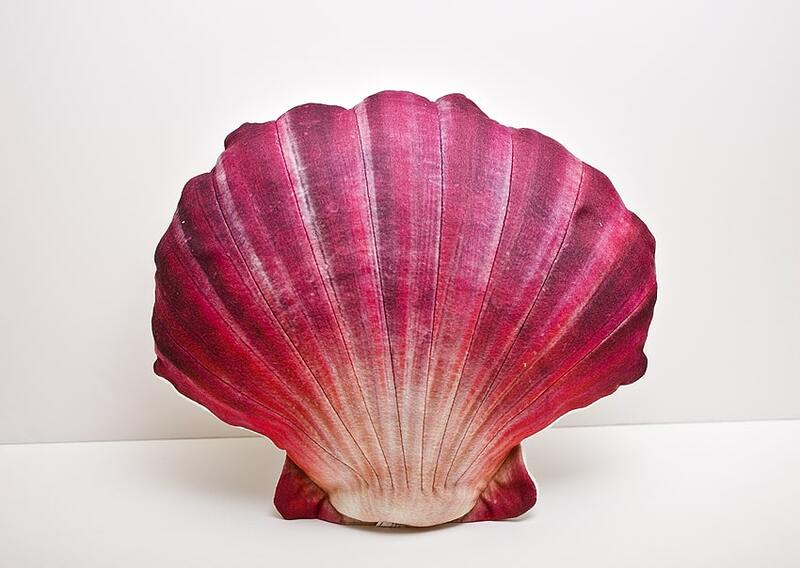 There are nearly 500 known species of scallops divided into four families. 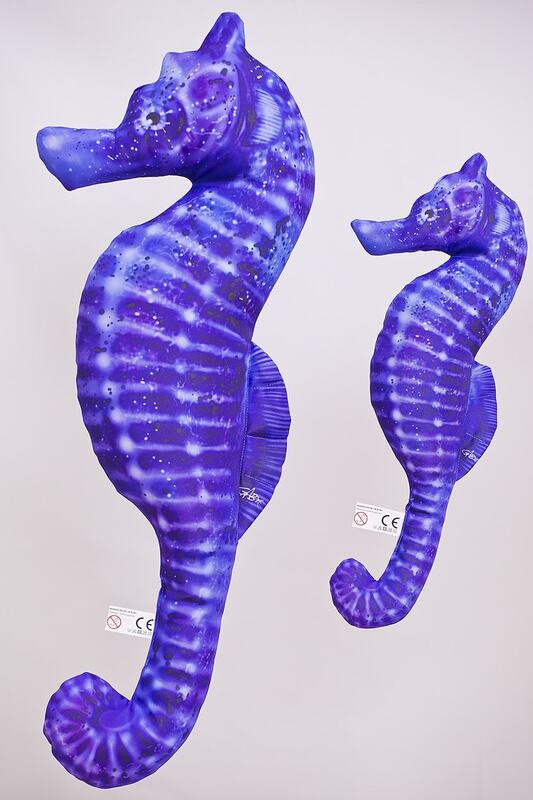 They can vary greatly in size and colour. Surprisingly, scallops have many primitive eyes located along the edges of their mantles, with some species having around 100 of them. Prized for their sweet tasting flesh, scallops are a popular seafood and their farming and harvesting is becoming an increasingly profitably industry.